If you were a well-known name in bodybuilding and fitness, you’d have no problems endorsing a product. Add to the fact that you have a Ph.D under your belt, and you’d have all the credibility you need to launch your own line of supplements. This is definitely what happened with Jim Stoppani Ph.D – from being a recognized name in fitness, Jim Stoppani launched his own line of bodybuilding supplements which include JYM ZMA JYM. JYM ZMA JYM is a bodybuilding supplement that contains ZMA, or Zinc Monomethionine Aspartate, Magnesium Aspartate, and Vitamin B6. ZMA is a formula used by athletes, gymnasts and bodybuilders as a recovery agent as well as a testosterone-boosting supplement. According to reports, ZMA has been tested effective in producing anabolic effects on collegiate athletes. ZMA was originally intended to be used as a sleep aid to help the body achieve deeper levels of REM sleep. However, in recent years, the use of ZMA reached the bodybuilding community, citing its anabolic effects due to its anabolic benefits due to its ability to enhance hormonal profiles. 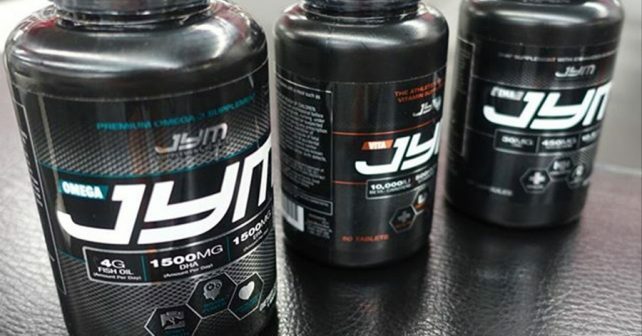 According to the manufacturer, JYM ZMA JYM has the ability to increase strength and power, as well as to improve muscle recovery. Who uses JYM ZMA JYM? ZMA supplements are typically used by recreational athletes and bodybuilders who aim to increase their testosterone levels and improve their recovery rates. JYM ZMA JYM on the other hand, is used typically by JYM brand customers who follow stacking recommendations by the brand to save on purchases, as well as to improve overall results. JYM ZMA JYM follows the traditional formula of ZMA, which is 30mg Zinc, 450mg Magnesium, and 10.5mg Vitamin B6. There are literally dozens of other ZMA products which contain the same formula of ZMA, and the only thing that differs JYM ZMA JYM from the rest is its 5mg BioPerine ingredient, which supposedly improves the absorption of Zinc, Magnesium, and Vitamin B6. There’s no wonder that JYM ZMA JYM is able to increase testosterone levels, but the reason for the increase isn’t the ZMA formula, but only Zinc and Magnesium. Zinc and Magnesium are two minerals responsible for increasing your body’s ability to produce testosterone. However, research shows that it can only increase your body’s testosterone levels if you were deficient with Zinc and Magnesium to begin with. JYM ZMA JYM costs $15.78 per 90 capsules (30 servings per bottle, roughly $0.50 per serving). If you have zinc deficiency, you could simply buy a $5 bottle with 100 50mg zinc supplements and increase your testosterone levels just the same. ZMA supplements use the same formula over and over again. You can go for an affordable version of ZMA, or go for the more expensive one with JYM ZMA JYM. While you’re at it, why not take it a notch higher and take the best muscle building supplements? For roughly the same price, you can buy Xtreme Testosterone and Deer Antler Maximum Strength to combine both testosterone benefits and IGF-1 muscle building attributes.